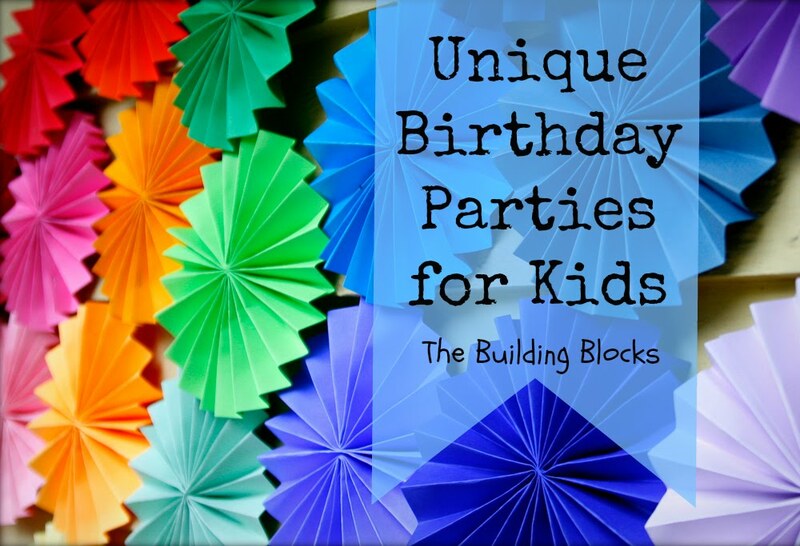 There are some essential elements to a successful party that I use to plan events for children. I am excited to share these with you! 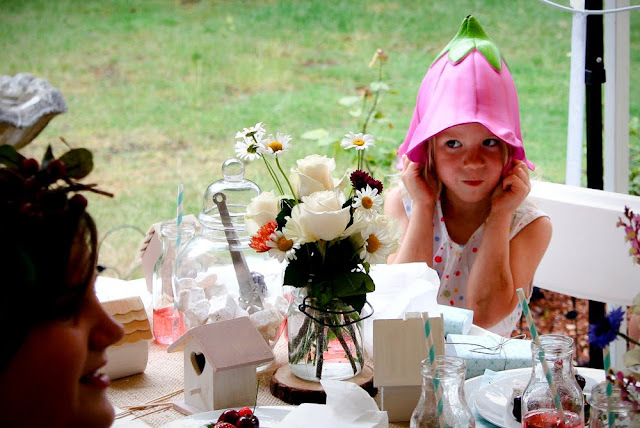 These elements can help you plan a beautiful and unique kids party. This post was inspired by Eventbrite, and if you are planning a larger party, feel free to check out their event management services. How do I focus what I've learned from 20 years of throwing children's parties into one post? The truth is, I really can't. And I'll be honest. Some of these components are hard to put into words. I have talked with my party planning friends and they all say things like "you just know when a theme is right for a year" or "I love it when a party comes together". But how to describe how a party 'comes together' or the feeling of 'knowing' when the theme is right is really hard! Tiny little things have the ability to make your party different than any other party. To keep my parties unique and classic, I try to concentrate on the more subtle aspects of a theme for my decorations. Bringing in obscure elements helps me avoid the gaudy aisles at the store with the huge character faces. Changing the focus from Bob the Builder to 'construction', or Tinker Bell to 'garden fairy' has the power to open up a world of in-theme elements you may not have thought of. Instead of character faces for a Tinker Bell party, you can now concentrate on subtle elements of fairies such as fairy dust, flower petals, and tiny food. This eliminates the need for an expensive order of character pinatas and plates and napkins. You can now use color themes instead! One year the theme WAS color! The decorations for our Rainbobw Party (header picture) were nothing more than paper fans I folded out of cardstock and stuck to my wall with sticky tac. It is still one of my favorite backdrops I have ever used. Do not be afraid to use unorthodox decorating for your parties... if it is a book series your child loves, use the books to flesh out your decorations! For the Ninja Party, (top right) we cut down enough bamboo to fill the whole house from our neighbors bamboo hedge and added it into every nook and cranny we could. Our whole house was a peaceful oasis from Japan and it was the cheapest party I have ever thrown. For the Garden Fairy Party (top left) I used tons of bracken fern for a backdrop of my food table. It separated my party goers from my half built chicken coop. They never knew the ugly that was behind this lovely tablescape! For the Winter Wonderland party (in July, lower left) I pulled out all my Christmas decor and even some from my neighbor to create a winter wonderland inside our house in the middle of summer! The 007 Secret Agent party (lower right) was the most fun to plan out! Mustache duct tape on water bottles and the huge map I stole from the school room were the main decor and it looked AMAZING! Another thing that can really set the tone for a theme is the music. I create a playlist for every party and if the playlist is especially awesome, I burn CDs for the guests to take home in their favor bag. 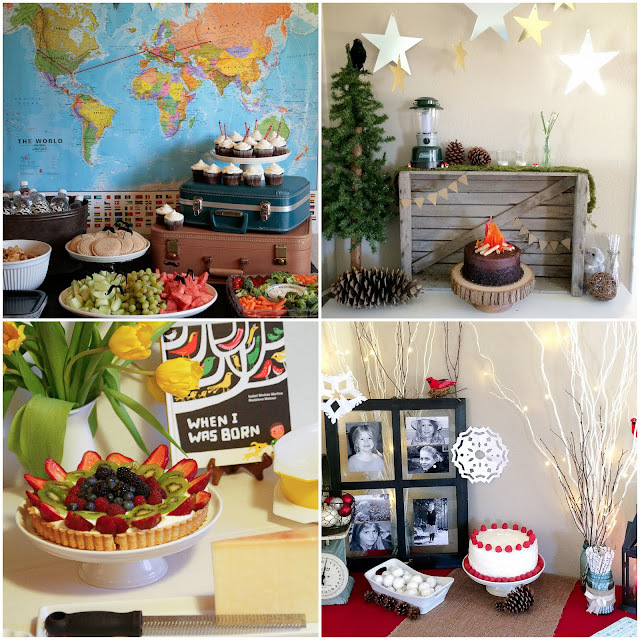 Really, the theme of a unique party is set on backdrops of simple, yet creative elements that pull you out of the normal world, into the focus of your party theme. A tiny stick with a mini marshmallow on top for a Camping Party (lower right). A honey stick tied to a invitation for a Pooh Party (lower left). 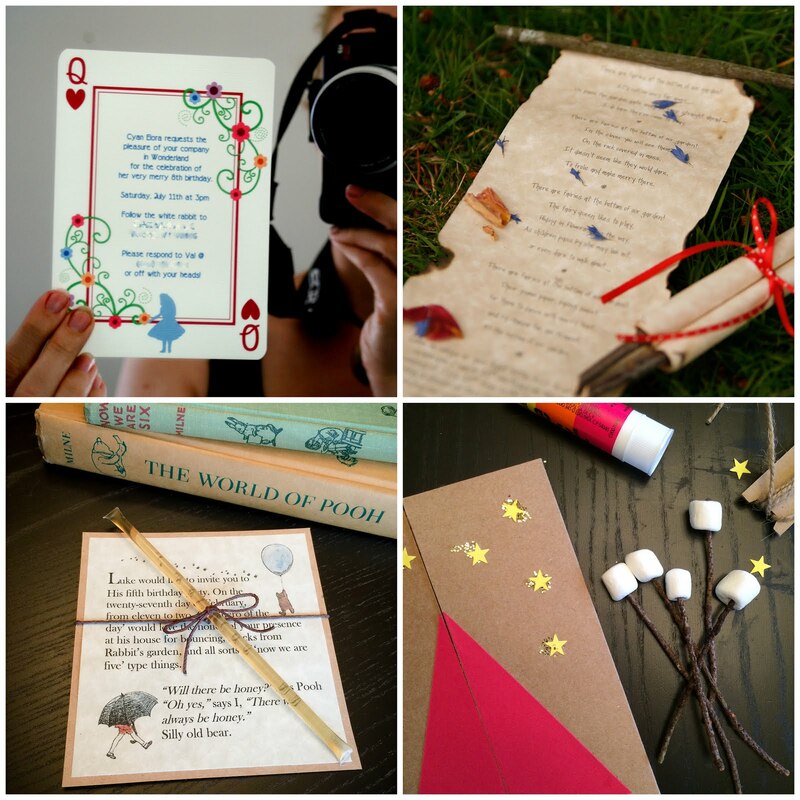 A invitation that I had flipped so you had to read it in a looking glass for Alice in Wonderland (top left). A bottle saved from the recycling, filled with sand, for the invitation to a shipwrecked party instead of a envelope. Scrolls instead of envelopes for the Fairy Garden Party (upper right). I have used scrolls for many parties! All of these simple solutions created a sense of adventure before the party even began. 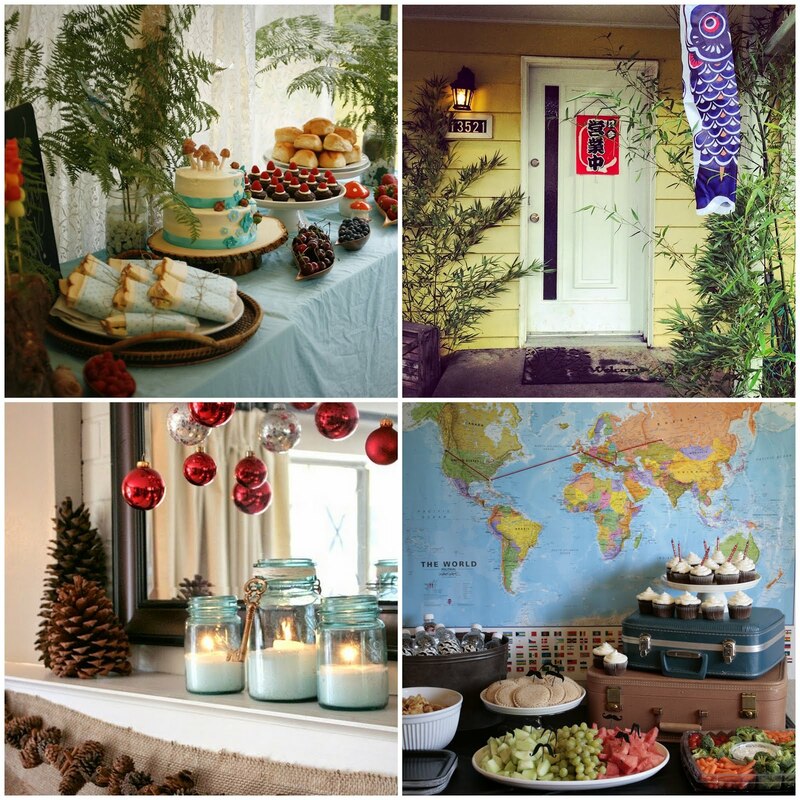 It makes my job as party planner so much easier if my guests are already excited and anticipating adventure! 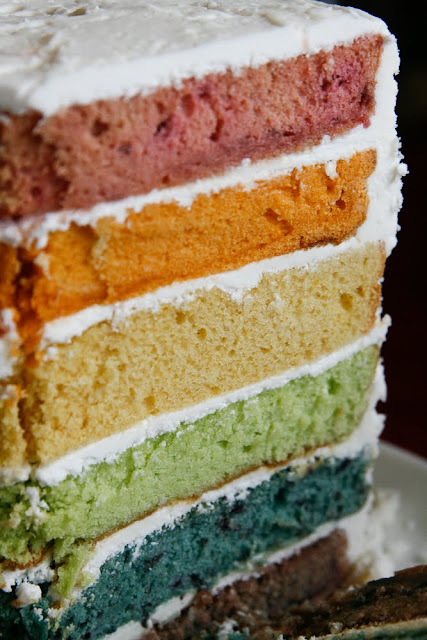 Parties are not cookie-cutter affairs. They have to be tailored to the audience involved. I have a lot of different personalities in my household. I have the loud but gentle giant man-child, I have the shy teen girl, and the outgoing new 9-year-old, and then I have my sweet, gentle little man. I would never throw my little guy the same party as I would throw the boisterous 9-yr-old. He would be so overwhelmed that he would cry by the end. 9-yr-old can handle up to 20 people celebrating his birthday with him and it can include being beaten with foam swords and nerf guns. Little Guy can handle 5 people, tops, and the activities are subdued with breaks and big snacks. This isn't an element I can give guidelines for. But it is best to keep in mind. An overwhelmed and crying birthday child is never good. Activities which are appropriate to your audience and on theme are so vast it would take a whole other post just to write about this. 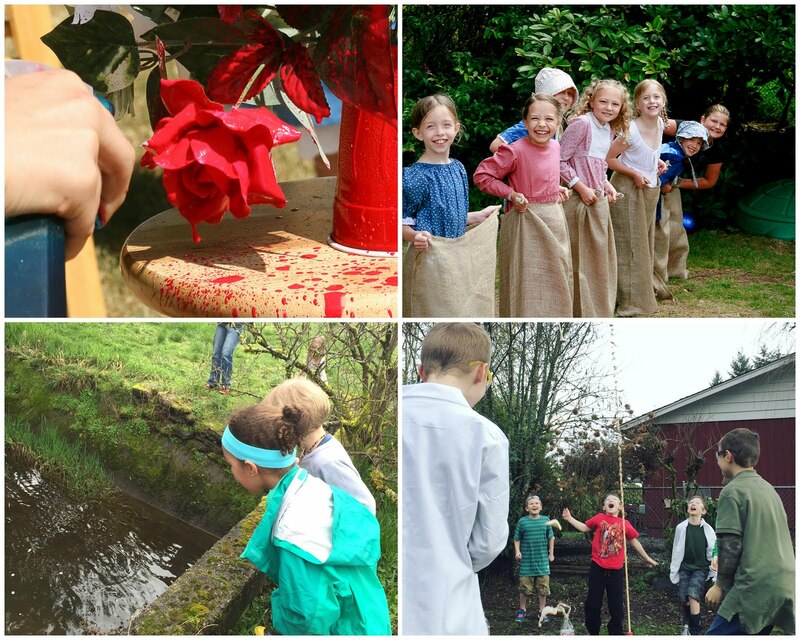 We have done everything from 'painting the roses red' (upper left) to feedsack races (upper right) to pooh sticks (lower left) to Diet Coke and Mentos (lower right). It always entirely depends on the party. **A gentle nudge to avoid pinatas with kids who are willing to bash each other over the heads with bats, and again with the kids who would rather hide than raise their voices... in fact, lets just avoid pinatas all together. 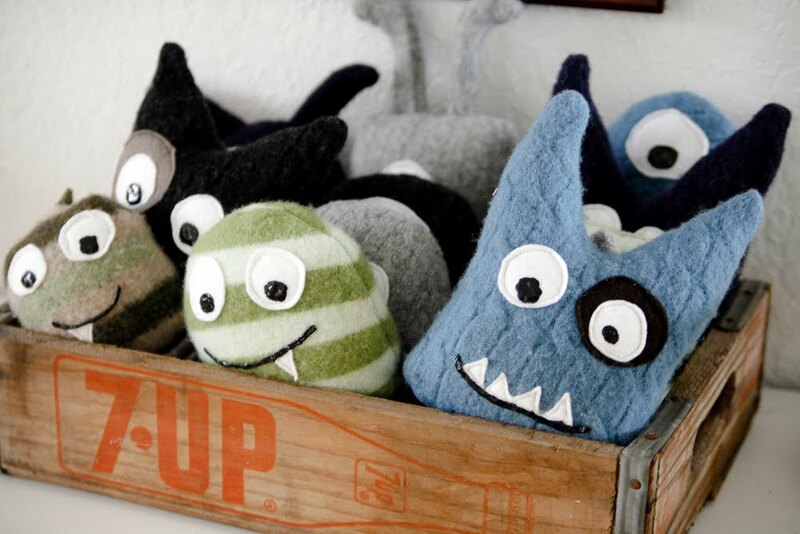 Looking through inspiration pictures as I prepare to write this article and I found a trend very quickly popping up. HOLY SWEETS, BATMAN! These dessert tables are off the charts! Candies and cake and cakepops, and color-coordinated sugar confections and cookies all on theme... whole tables of sugar! That's it. Just a simple big piece of cake with perhaps some ice cream on the side. It worked for all the birthday parties before Pinterest, and it can work again. One thing I will give these crazy dessert tables - THEY ARE GORGEOUS! But I declare this - a modest desert table does not have to be a frumpy affair! 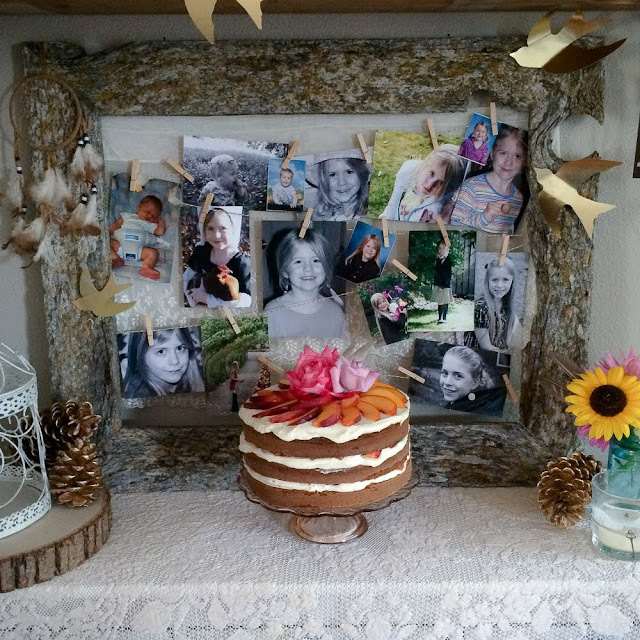 You can create an incredible and memorable dessert table with non-food items such as a picture frame strung with pictures of the birthday child growing up (pictured above on two tables) or create a backdrop of in-theme items that will create that beautiful tablescape, without the sugar coma. This is where the parties feel complete for me. My kids love gifts... the receiving and the giving. Favors is a good way to make the gift giving come full circle in your party. Again, obscure elements of your theme are the key to a perfect gift bag. Avoiding the character plastered plastic giftbags, pencils, and party blowers is my goal. I don't dislike these things, but I rarely use them because I like my gift bags to be one of two things; edible or keepable. I know... keepable is not a word, but I think it applies. When I hand a child a gift bag, I want it to be gone right away (like a cookie or a baking mix) or kept for years, like stuffed critters, flashlights, cd of music, or good quality colored pencils. In other words... I want it to be a gift! I can't stress this one enough. Parties can be planned down to the last minute, but we have to be flexible. There is always going to be a learning curve and we always could have done better after the fact. The surest party killer is a frantic mama! 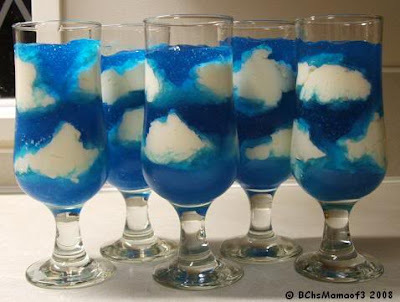 For the Rainbow Party, my daughter wanted these cute little sky parfaits from Pinterest. However, I couldn’t make 15 of those in cups so I thought one big one in a trifle bowl would be just as pretty. You don't have to plan the element of flexibility into your party, but you will certainly use it! Many of my parties started to flop-- it was supposed to be an outdoor event but now it's pouring, or the cake fell apart as I was trying to frost it an hour before guests were going to be there-- at some point, we must be ok with jumping in puddles instead of making a beautiful, well planned craft. We must be ok with sending a guest to the grocery store at the last minute to buy a cake. (I have done all of these, btw. And more.) We have to let go of our vision and allow it to be what it is. A happy and flexible hostess is going to turn any tragic issues that come up into fond memories for your guests. Sometimes I hear stories from kids... they say things like "Oh! That's the one where you jumped in puddles with us!" and I get choked up... because I planned so much more than that for my daughters birthday party... but the kids had fun and remembered that I was willing to have fun with them, even when everything that I had carefully planned went to pot. For me, the favors sometimes come first. I made the monsters for Logan and Luke and then Logan started drawing Monsters everywhere and the rest of the party 'came together' after that. I have a similar approach to other parties. Good luck! And thanks for the sweet comments! Wow! All these unique birthday party ideas for kids are just amazing. 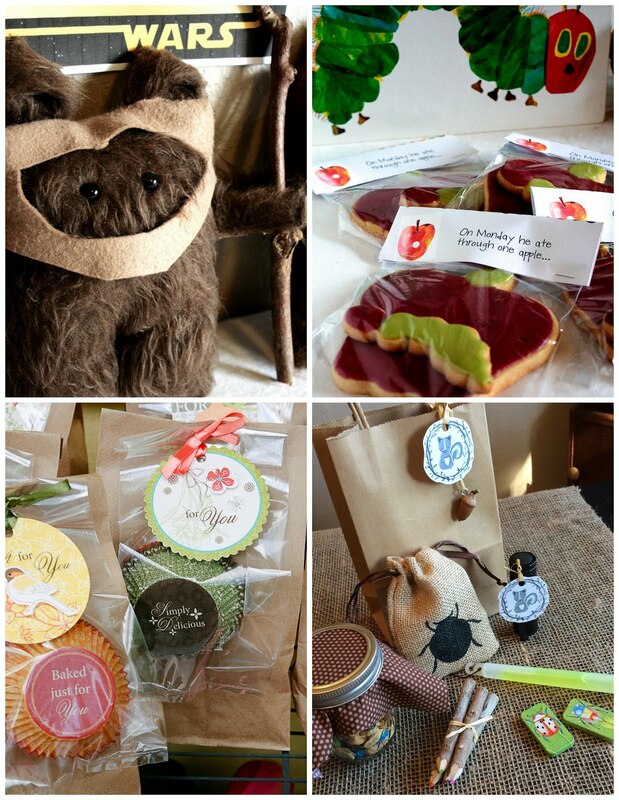 Loved Garden Fairy Party among all other ideas. Would be using this idea for my daughter’s 4th birthday party, for which currently looking for party venues. Hoping to find one soon. That's awesome! Have a fantastic party!